HDTV Supplys WolfPack 12x16 Component Video Matrix Switch is designed for switching and distribution of high definition component video. The 12x16 Component Video Matrix Switch allows the centralization of all video source equipment, and distribution throughout the home or business. The 12x16 Component Video Matrix Switch is perfect for small to medium sports bars that do not need audio at the TVs. Because it is a matrix router, any input may be sent to any output; or the same input may be sent to all outputs or any combination. The HDTV Supply WolfPack matrix can be controlled via IR (built in sensor or wired input on rear panel) and serial port (RS232/USB). This 12x16 matrix cannot be switched via the front panel so use the remote control that is included. When using the USB port, the matrix switch will be installed as a virtual COM port. This means that any control program capable of controlling a device through a normal serial port should be able to control the matrix through a USB port. VFD front panel - no moving parts to jam. Up to 12 switches can be stacked to create a full non blocking 12x96 matrix. Why not buy this WolfPack 12x16 Component Video Matrix Switch today? HDTV Supply includes a 2 Year Limited Warranty on this WolfPack 12x16 Component Video Matrix Switch. 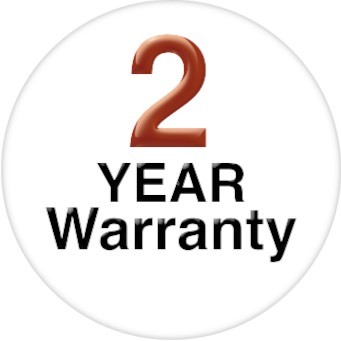 The warranty states that (a) its products will perform substantially in accordance with the accompanying written materials for a period of 2 years from the date of receipt and (b) that the Product will be free from defects in materials & workmanship under normal use & service for a period of 2 years. In order to get a warranty replacement for a defective item, HDTV Supplys Team will verify the product is eligible for warranty. An RMA number will then be issued. Shipped replacements will be in like new conditions, tested and all components included. HDTV Supply also sells a 3 or 5 Year extended warranty for this 12x16 Component Video Matrix Switch. Please go to 5 Year Extended Warranty or see the above Options to purchase it.